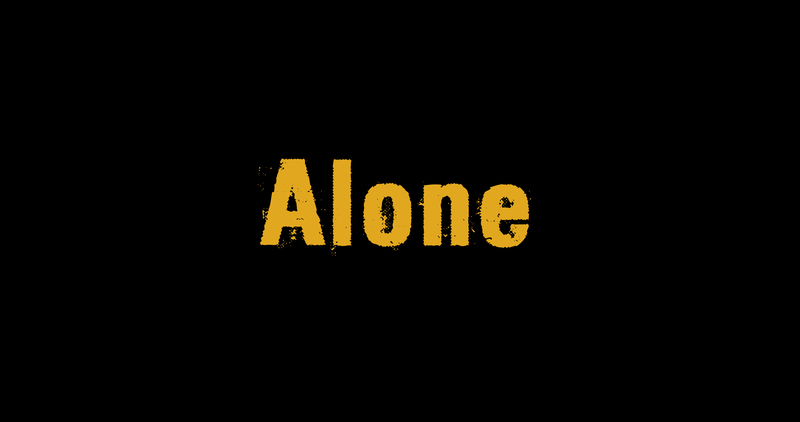 Alone is an in-development survival game. It aims to be a realistic, survival against the environment game. Just pure survival. Hey guys! I'm back from the dead! And I'm bringing Alone with me. So, let me put you up to date. Yes, I kind of started over, but I kept some stuff that I liked. I did it because I started to realize that I have done a lot of stuff that I didn't like, that didn't run fast enough, things that were too low quality, etc etc. So I decided that it was better to start a new project rather than starting to delete stuff like crazy unreal doesn't like that either. So I started thinking what I wanted Alone to be and started to do stuff, one at the time. This header is so dramatic, I love it. So, back to Alone. I started thinking about game mechanics and stuff. I wanted it to be a pure survival still, and I want it to be hard. So I got to some stuff that I think can be quite interesting, for example getting sick, integrate weather (snow, rain, wind) and take it into account for the player temperature (yeah temperature too), be able to bleed out if you get hurt and don't heal. That's some stuff that I have in mind, and some of it is already in the game. Rain is working and snow is in progress. I think that for a nice survival game you need a big map. But not just a big map with an extreme amount of vegetation and nothing else. A big map with places to explore and look for supplies, a big map that makes you move to look for supplies, a big map that will make you migrate from zone to zone because you ran out of stuff on your area. Abandoned towns to scavenge, old camps in the forest, animals to hunt, animals that'll hunt you. That kind of big map. Just for you to get an idea, I'm currently using 9 maps with one full-size terrain each one. This point is more for the people who like to know how things work. If you know something about Unreal Engine 4, you'll probably know about Blueprints. Blueprints are some nice visual programming language that get's the job done most of the times, but they don't perform that good, not when compared to C++, that it's way faster. In Alone I always used 100% Blueprints, but now I'm starting to move stuff to C++ for performance sake. Also, there's some cool stuff in C++ that isn't yet exposed to Blueprints. Yeah, this is awkward but I have to do it if I want to get this somewhere nice. I opened a Patreon page and created a Paypal.me link. Just in case you feel like a nice person and want to donate some money to the project. I could get a lot of stuff going, with higher quality, and way faster. SpeedTree, models, animations from the Marketplace, high-quality textures, good sound effects. The kind of thing that money buys, you know. So I'm going to leave the links here, just in case you are feeling generous. I really think that Alone can progress really fast with some extra cash going. 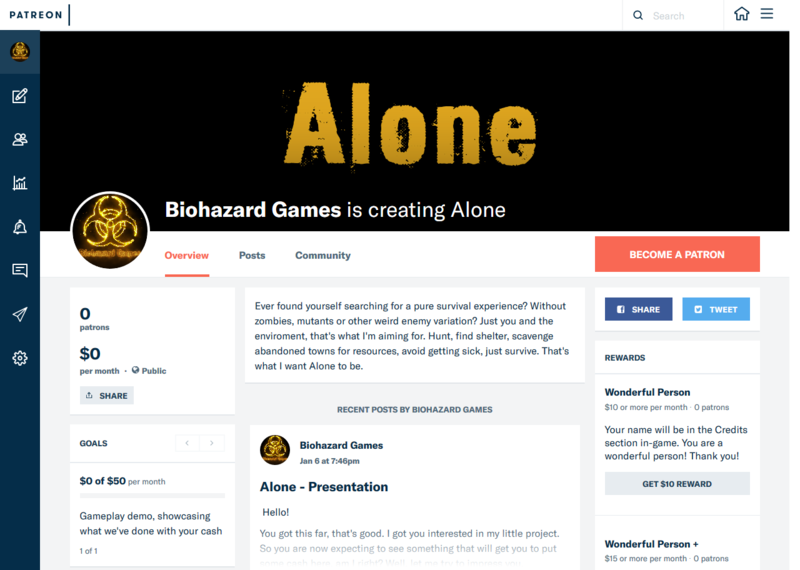 Alone features, goals and the first development build.